When I heard the news that author and poet Michele Serros passed away after battling cancer I cried. A lot. I did not know Michele personally. I have heard her speak a few times. Once at a bookstore on Main Street in Ventura with my Mom. But her passing saddened my heart. 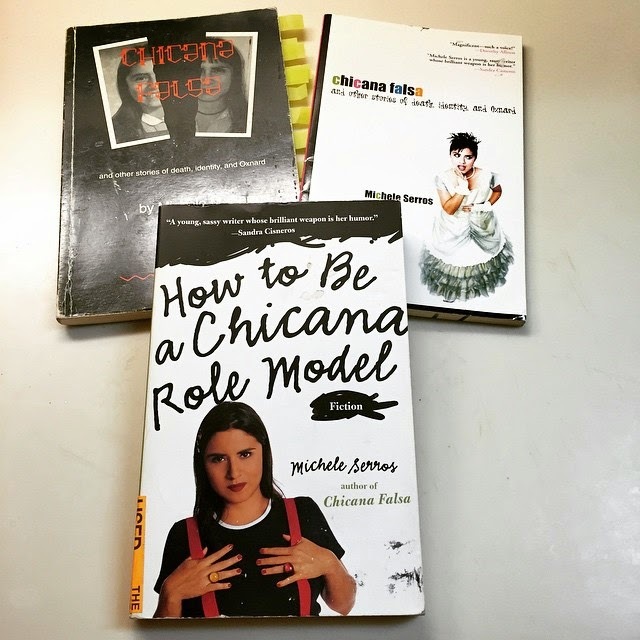 See back when I was a young kid Chicana growing up in an upper middle class community trying to find my place I picked up a copy of the poetry book "Chicana Falsa: and other stories of death, identity, and Oxnard". I mostly bought it because it was cool to see a fellow Ventura County gal in print. Then I read the book in one sitting and my whole life changed. Michele was telling my story. I finally was able to put a name to what I felt. I too was a Chicana Falsa. If I had a dollar for everytime I was called " white washed" or a "coconut". I understand the feeling of not being " Chicana" enough. Reading that book started a fire in me. Because of this book I would spend 6 amazing years learning all I could about Chicano history, art and literature. Which would become my passion in life. It was this book that made me realize that my life was not just beautiful but worthy of being literature. Michele's writing was simple in the best way possible. It felt real. It felt like talking to my prima on the phone. I have read everything she has written and always had a sense of pride of being from the same area as her. Tonight at dinner I read a few stories and poems from Chicana Falsa to my family. 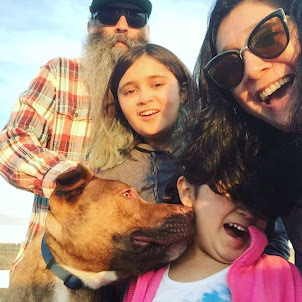 We all got a good giggle about "chicharrones choke Chicana child to death in Chino" and we laughed over the frozen vegetable revolution at the super market and we all related to being excited to see a family member on television. These book will remain on our book shelf and will be there for my girls when they need it. And for me to read over and over again. Rest in peace Michele. Thank you for your words and for being my Chicana role model.